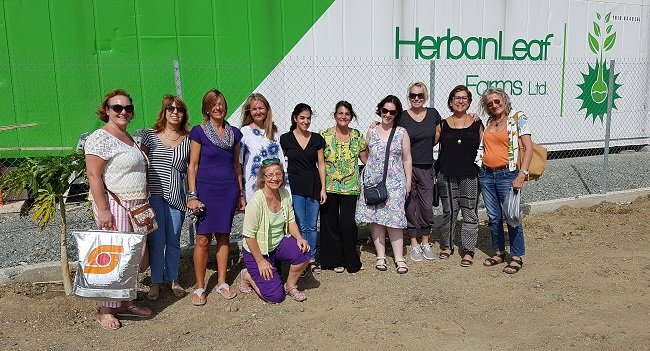 I was fortunate enough to visit HerbanLeaf Hydroponics Farm in Pareklissia the other day on a Cyprus International Women of Today outing. CIWOT is a local charitable association that undertakes community service and provides a fun forum for social and personal growth activities for women in Limassol. 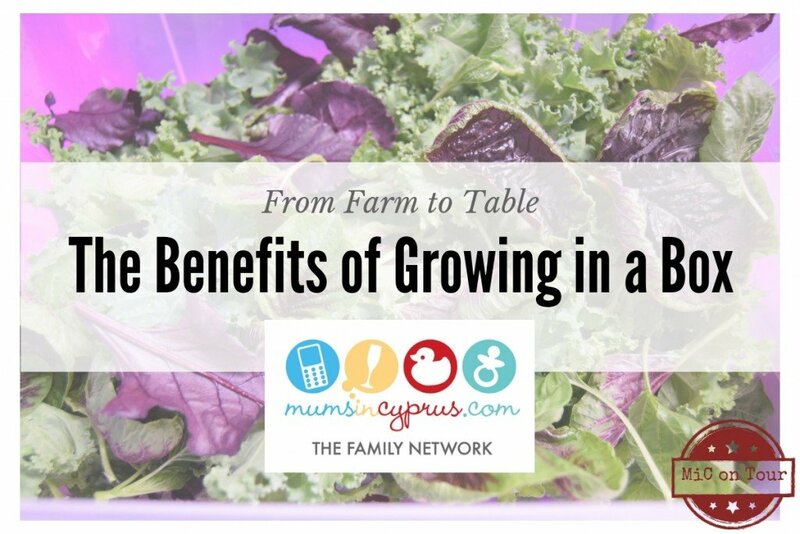 I was aware that there is a growing number of Hydroponic and Aquaponic farms cropping up all over the island but my understanding was limited as to why they are so suited to growing organic and eco-friendly leafy greens and herbs in the harsh conditions of Cyprus. 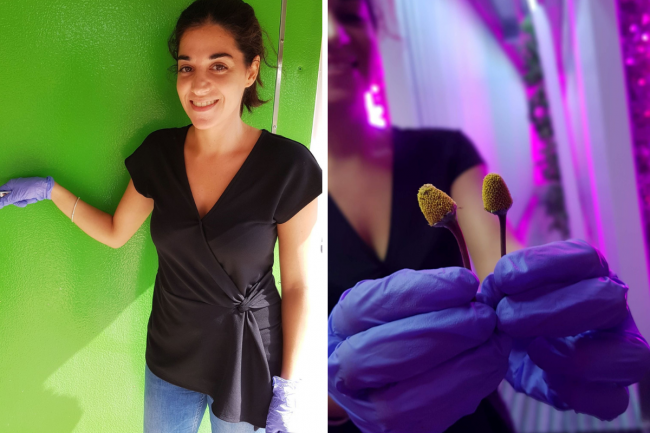 After an hour of listening to Maria and Myrianthi enthusiastically explain the process to us, I was enlightened… and after trying their greens for myself – I was hooked! The three-member family start-up business grew out of their love for growing vegetables and flowers without chemicals and fertilisers and upon meeting them, you can’t help being in awe of their dedication, passion and all-round loveliness. They tried crop rotation; companion planting; making their own compost from garden trimmings; creating their own all-natural pesticides and recycling all their household water but the long, hot, dry summers in Cyprus and lack of sufficient water meant that they had to cut back on planting vegetables for three or four months at the height of summer. Their ‘eureka’ moment came in 2017 on reading an article published in the Guardian, “Is Boston the next urban farming paradise?” which described hydroponic farming using recycled refrigerated shipping containers. 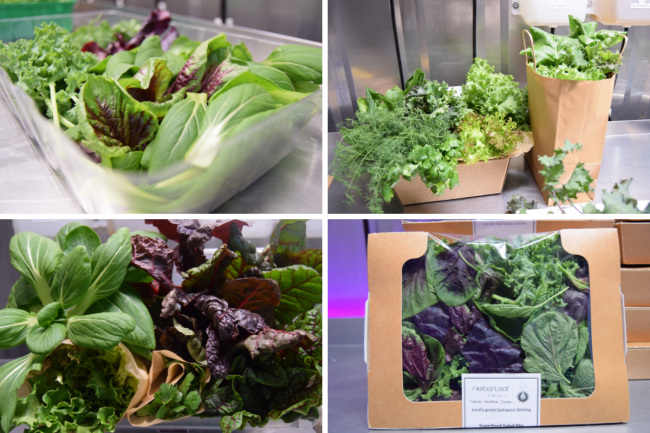 After many hours of research, planning and hard graft and just one year on… they now have their very own sustainable farming method producing year-round premium quality and healthier greens! Some Fun Facts about growing in a box! The 40ft shipping container can produce the equivalent of what could be grown on 7284 square meters of land! 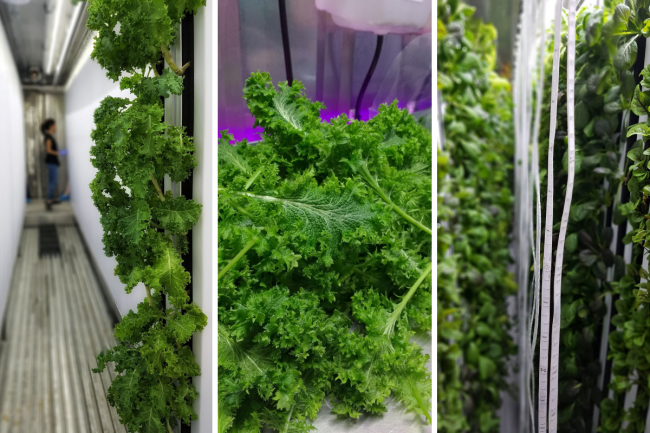 They use water, nutrients and LED lighting (blue & red) to grow their greens – that’s it… no soil; no chemicals and a much more water-efficient and environmentally-friendly process than traditional farming. In fact, they use a whopping 98% less water than traditional farming with this closed loop system and the equivalent energy consumption of an average household! The farm is equipped with environmental sensors that monitor water, climate, and lighting conditions in the farm in order to create the optimal growing conditions – meaning consistently high-quality greens and herbs all year round. Being within a closed, climate-controlled container, there is no need for herbicides, pesticides or growth hormones, resulting in healthier, cleaner greens. Stepping in to the container, you are met with something resembling a spaceship – with the bright pinky glow of the LED lights and the clean stainless-steel worktops. The seeds are germinated in little compostable pods and then transferred to one of the 4,500 growing sites in the 256 vertical towers hanging inside the container. These ‘towers’ resemble drainpipes, with a foam and felt cladding inside them that supports the greens while they grow on a diet of nutrient-dense water. The closed-loop system means that all the water that drips down the towers from above can be recycled and there is minimal waste. I have to admit that I am a massive fan of greens already but I have never in my life tried any as fresh, crunchy and tasty as these. Even the kale leaves, which are usually tough here in Cyprus, were so tender and sweet that you would want to eat them raw. The range of greens, herbs and edible flowers is mightily impressive – some I have never even heard of before, let alone tasted. Currently growing, they have three types of kale; two types of spinach and chard; sorrel; leaf beet; pak choi; various lettuces; mizuna; wasabina; edible flowers and various herbs – each with their own type of crunch, sweetness; spiciness and distinct taste. If you’re not sure which one to try first, go for one of their mixed bags so you can see which leaves you prefer. You can order through their website and choose from a range of drop-off points and times in the Limassol area. We highly recommend you try them out – if not for the flavour and health-benefits alone, then at least for the choice to eat from a local, sustainable, environmentally-friendly source. You won’t be sorry. If you’re feeling brave, you can try out their “electric daisy” edible flower… it is literally mind (and mouth-) blowing – apparently goes great in cocktails and crumbled on top of ice cream!